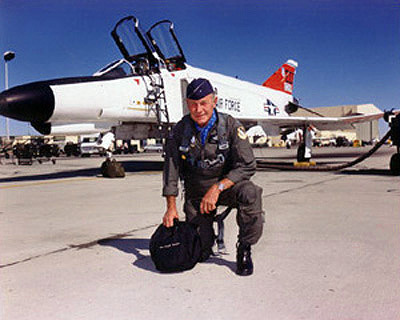 Brigadier General Charles E. Yeager made his final flight in the U.S Air Force in the prototype McDonnell YF-4E Phantom II 65-0713. During his career, General Yeager flew 180 different aircraft types and accumulated 10,131.6 flight hours. General Yeager retired 1 March 1975 after 12,222 days of military service. 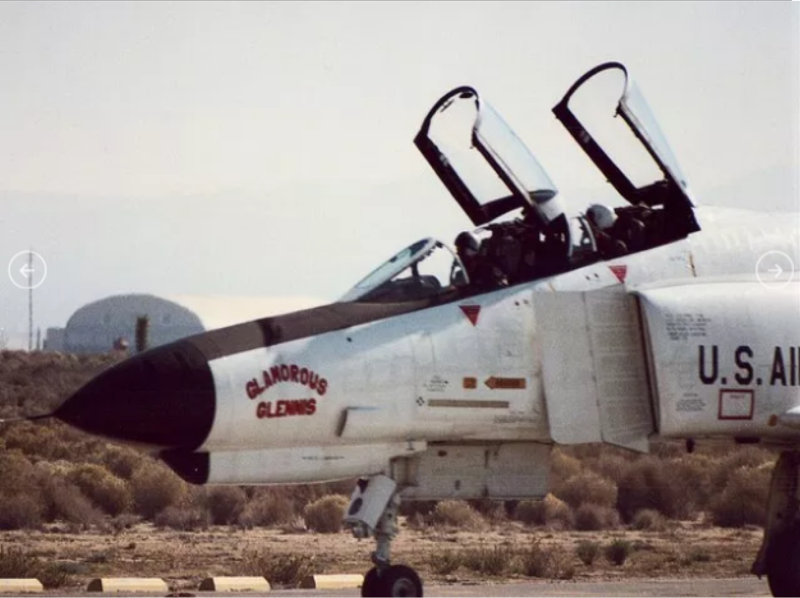 McDonnell YF-4E Phantom II 65-0713 was named Glamorous Glennis for General Yeager’s Final Flight. 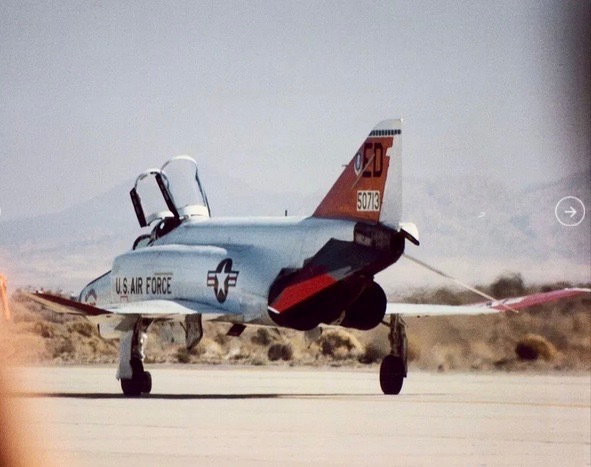 ¹ 65-0713 was a McDonnell F-45D-28-MC Phantom II which had been modified as the prototype YF-4E, armed with an M61 rotary cannon. Later, 65-0713 was used as a test bed for the F-4G Wild Weasel. The airplane is on display at Edwards Air Force Base.